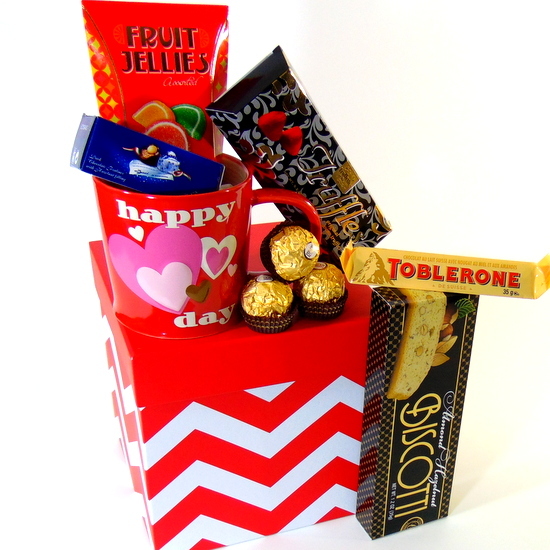 Chocolate basket red box Valentine’s day gift. Filled with sweets, snacks and coffee mug. Send your love note with this gift to your loved ones. Love You! 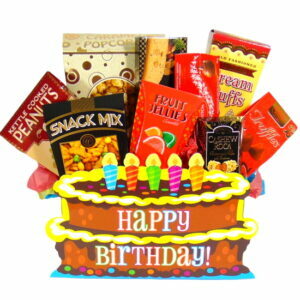 Message delivered with gift box. 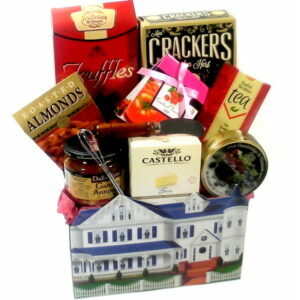 Chocolate Basket contains: Red and white striped box. Happy Valentines Day coffee mug. French chocolate truffles. fruit jelly candies. Toblerone chocolates. Lindt Lindor truffles. biscotti cookie. Ferrero Rocher and Baci. FREE local Toronto hand delivery 7 days a week. All our Baby. 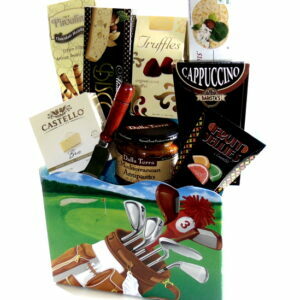 Spa and Gourmet gift baskets. GTA, Toronto. Etobicoke. Concord. Scarborough. North York. Pickering. Ajax. Milton. Stouffville. Maple. Brampton. Mississauga. Richmond Hill. Thornhill. Markham. King City. Newmarket.